Posted byDidier Champion January 14, 2018 January 20, 2018 Posted inAfrica: The State of the ContinentLeave a comment on How does it feel to be a US immigrant from one of the countries that Trump called a “shithole”? Posted byDidier Champion October 9, 2017 October 21, 2017 Posted inRevolutionary Ideas, Science and TechnologyLeave a comment on One-Way Trip to colonize Mars? How realistic is the Mars-One Project? Posted byDidier Champion October 7, 2017 January 7, 2018 Posted inYour Finance does matterLeave a comment on Bitcoin: Is Digital Cryptocurrency rising or is it a bubble? 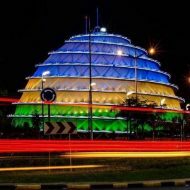 Posted byDidier Champion August 5, 2017 January 20, 2018 Posted inAbout my Home Country, RwandaLeave a comment on What a pride knowing that my vote counts too!